Leila Heller Gallery is pleased to present the first outdoor public exhibition in the UAE by Tony Cragg (b. 1949) hosted by Dubai International Financial Centre (DIFC) in partnership with UK/UAE 2017. Showcasing one of the world’s most distinguished contemporary sculptors, the outdoor exhibition which will be located in front of DIFC’s iconic ‘The Gate’ building featuring 3 large-scale works in bronze and stainless steel and forms part of UK/UAE 2017, a year of creative collaboration and cultural exchange between the United Arab Emirates and the United Kingdom. Cragg has developed a method for casting bronze works that appear to be liquid or molten which explore formal compression and elongation techniques of abstraction with patinas that range from chocolate brown to red and gold. In Wild Relatives and Caught Dreaming, one can witness the manifestation of the horizontal extensions and stacking of the hauntingly familiar, yet not quite recognizable, flowing bronze forms. Likewise, Points of View’s sinuous, shining tower of stainless steel is reminiscent of a beacon. When viewing this elegant elongated tower, the composition is so fluid that one wonders if the form is rising up or flowing down. These sculptures were specifically selected by Cragg after his time at DIFC to inspire contemplation between the business environment and the world around us. 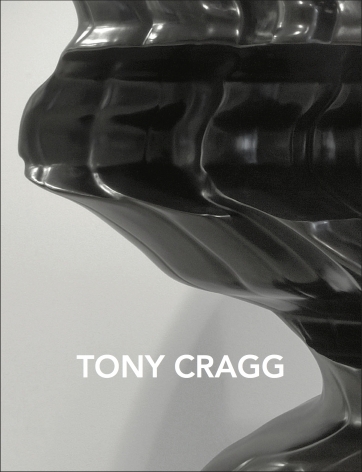 Tony Cragg was born in Liverpool, UK in 1949 and has lived in Wuppertal, Germany since 1977. He began his foundational studies at the Gloucestershire College of Art and Design and received a BA from Wimbledon School of Art, London, UK (1973) and an MA from the Royal College of Art, London, UK (1977). Since the 1980s his work has been presented in hundreds of significant international exhibitions, including documenta 7 and 8 in Kassel (1982 and 1987), São Paulo Biennial (1983) and Venice Biennale in 1980, 1988 (representing Great Britain), 1993 and 1997. In 1988 he was awarded the Turner Prize, and in 1992 he was made a Chevalier des Arts et des Lettres. From 1979 he taught at the Düsseldorf Academy of Art, where he became professor in 1988. In 2001 he was appointed Professor of Sculpture at the Berlin Academy of Arts. Since 1994 he has been a member of the Royal Academy of Arts, London, and since 2002 a member of the Academy of Arts, Berlin; that same year he was elevated to the status of Commander of the British Empire (CBE). In 2007, Tony Cragg received one of the most prestigious art prizes in the world, the Praemium Imperiale. In 2009 he succeeded Markus Lüpertz as Rector of the Düsseldorf Academy of Art. Since its establishment over three decades ago in New York, Leila Heller Gallery has gained worldwide recognition as a pioneer in promoting creative dialogue and exchange between Western artists and Middle Eastern, Central and Southeast Asian artists. It has garnered a reputation for identifying and cultivating the careers of artists leaving a lasting impact on contemporary art and culture. Currently representing a diverse roster of Western and Middle Eastern artists, the gallery is also active in the American, European and Middle Eastern secondary art markets. In November 2015, Leila Heller Gallery opened its first international location in Dubai’s Alserkal Avenue. At 14,000 square feet, the state of the art gallery features three exhibition spaces, making it the largest gallery in the UAE. Showcasing leading regional and international artists, many of whom will be presenting their work in the Middle East for the first time, the gallery is dedicated to supporting the evolving practice of established artists. The Dubai International Financial Centre (DIFC) is the financial hub for the Middle East, Africa and South Asia, providing a world-class platform connecting the region’s markets with the economies of Europe, Asia and the Americas. It also facilitates the growth in South-South trade and investment. An onshore, international financial centre, DIFC provides a stable, mature and secure base for financial institutions to develop their wholesale businesses. The Centre offers all the elements found in the world’s most successful financial industry ecosystems, including an independent regulator, an independent judicial system with a common-law framework, a global financial exchange, inspiring architecture, powerful, enabling support services and a vibrant business community. The infrastructure within the district features ultra-modern office space, retail outlets, cafes and restaurants, art galleries, residential apartments, public green areas and hotels. In 2015, DIFC launched its 2024 growth strategy, a blueprint for the next decade of growth of the financial hub. This strategy aims to stimulate trade and investment flows along the South-South economic corridor encompassing Africa, Southern Asia and Latin America. Currently, 1,648 active registered companies operate from the Centre, with a combined workforce of 21,611 professionals. DIFC continues to pursue expansion into new services and sectors within the Middle East, Africa and South Asia region, an area comprising over 72 countries with an approximate population of 3 billion and nominal GDP of US$7.4 trillion. Gate Avenue at DIFC will offer 660,000 sq. ft. of Build up Area, incorporating all aspects of living, including business, leisure and residential and integrating aesthetics with functionality. A continuation of the DIFC’s success story, which has already positioned the Centre as a premium business destination, the new offering will add a new dimension to the district and enhance its cultural appeal. Beyond being a financial centre, DIFC welcomes and supports artists to delight, inspire and excite its growing community of workers, residents and visitors. UK/UAE 2017 is a year of creative collaboration and cultural exchange between the United Kingdom and the United Arab Emirates, organised by the British Council, the UK’s international organisation for education and culture, under the patronage of HH Sheikh Mohammed bin Zayed Al Nahyan, Crown Prince of Abu Dhabi and Deputy Supreme Commander of the UAE Armed Forces, and HRH The Prince of Wales. The purpose of UK/UAE 2017 is to celebrate the long-standing relationship between the UK and the UAE, giving it greater focus, depth and contemporary relevance. Throughout 2017, the British Council will collaborate with a wide range of British and Emirati partners to create a diverse programme that spans the arts, literature, education, society, sport, science and trade. Through exploring the ways in which our respective cultural heritage and contemporary creative expression inspires innovation in all sectors and all areas of society, UK/UAE 2017 will strengthen cultural and economic ties between the two nations and identify major opportunities for future collaboration on both sides. To stay up-to-date with the latest news and programme, please visit the British Council’s UAE website www.britishcouncil.ae/en/uk-uae-2017 or follow the social media channels on Facebook | Instagram | Twitter.